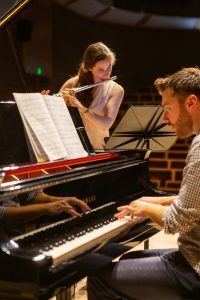 Four evenings of wine and chamber music — with stirring works from Saint-Saëns and Shostakovich and celebrated sets spanning Mozart to Muczynski, plus new Artist Exchange pre-concert talks with our performers. 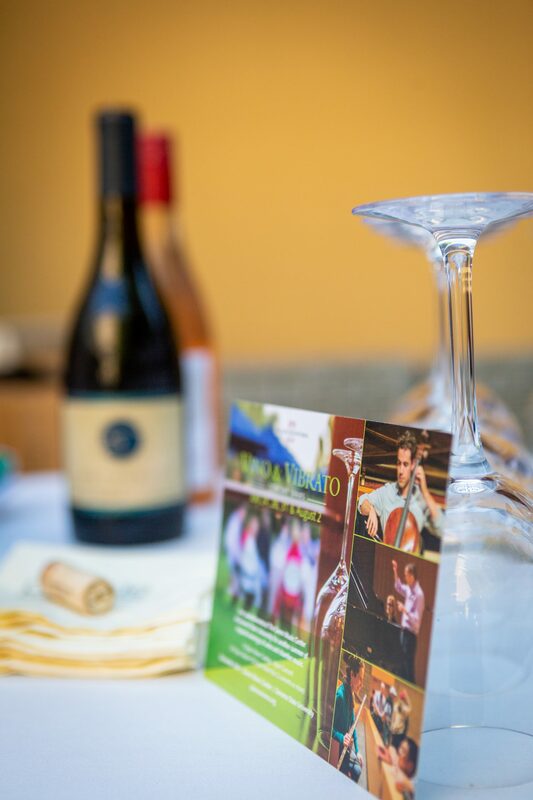 Wine tasting, featuring Cartograph Wines, begins at 5:30pm on the patio and is followed promptly by a performance at 6pm in the hall. See below for specific concert programs. All concerts take place in Schroeder Hall at The Green Music Center (Sonoma State University). Tickets are $15/concert; $12/concert for 2 or more. Tickets go on sale on April 18 on the GMC website. Our Artists in Residence are the heart of our festival. Many of you have heard them perform. These new talks will give audience members a chance to gain insight into the lives and minds of an Artist and to give each of their performances more personal context. Your Vino & Vibrato ticket for that evening will include entry to the Artist Exchange. *Artist Exchanges are sponsored by Daniel Bross and Robert Cundall.